San Francisco Municipal Transportation Agency (SFMTA) awarded Alstom a three-year contract for Vendor Managed Inventory (VMI) services to manage and supply parts for the SFMTA rail fleet, including two exercisable two-year options. The EUR 50 million contract follows an original contract in 2013 and two subsequently exercised options. Under the contract, Alstom will continue to provide SFMTA with parts, inventory planning and automated part replenishment via an integrated IT system, obsolescence management, and management and oversight of the VMI program. Alstom will also provide as-needed technical and engineering services. 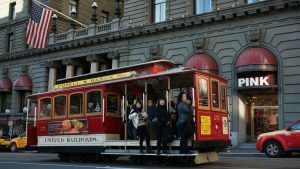 SFMTA’s fleet, composed of 149 light rail vehicles, 39 historic trams and 31 cable cars, needs a continuous supply of spare parts from a variety of vendors. Alstom manages more than 1,100 new parts for SFMTA’s maintenance operations and reverse-engineers obsolescent parts for both Alstom and non-Alstom vehicles. VMI allows operators to focus on operations, passenger service and satisfaction by streamlining the parts procurement process through forecasting, anticipation and automation. VMI has allowed SFMTA to carry out regular and predictive maintenance of its fleet and add maintenance technicians to staff. VMI has translated into 99% material availability, decreased inventory management costs, as well as increased daily average car availability and mean distance between failures, by 20% and 74%, respectively. This means that more rail vehicles are available for passenger revenue service each day.